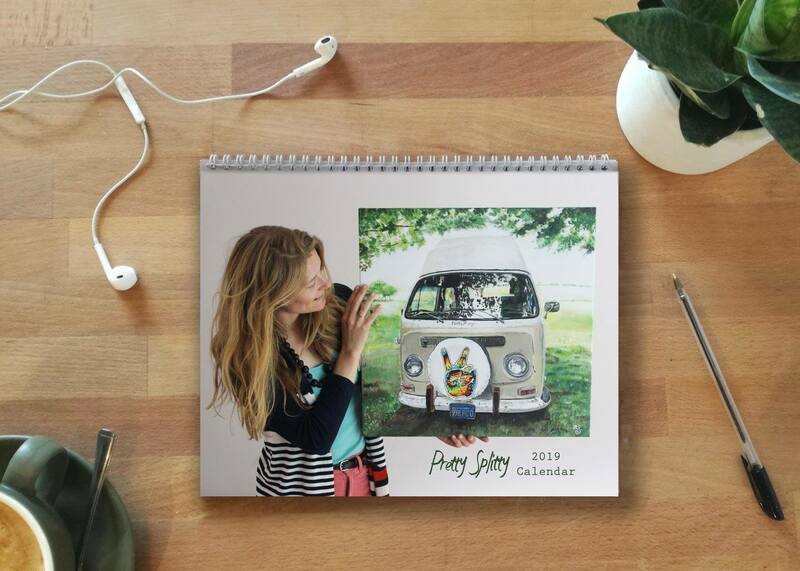 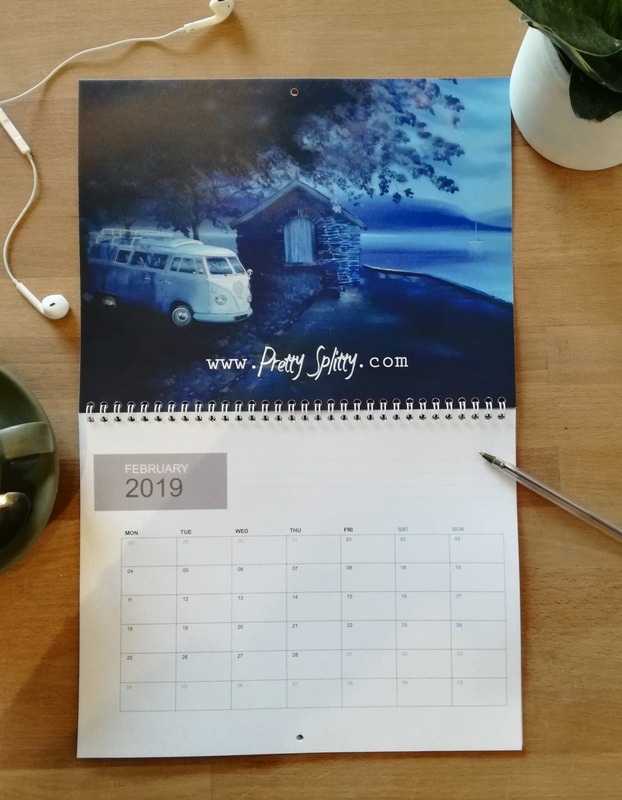 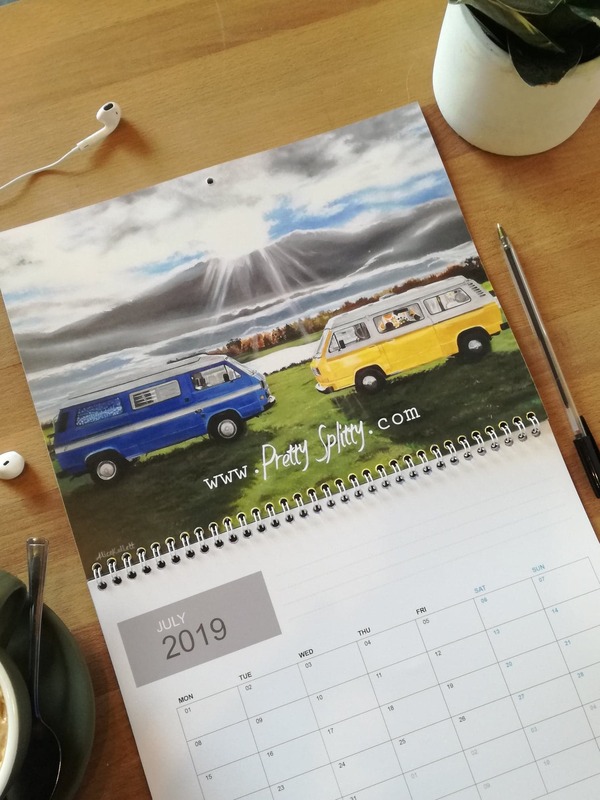 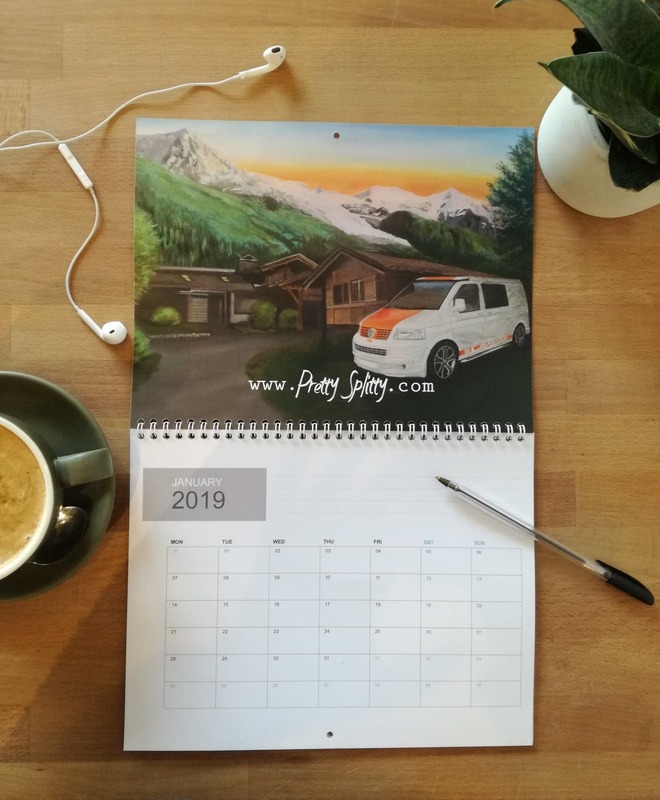 The Pretty Splitty Calendar is perfect for planning all your 2019 adventures. 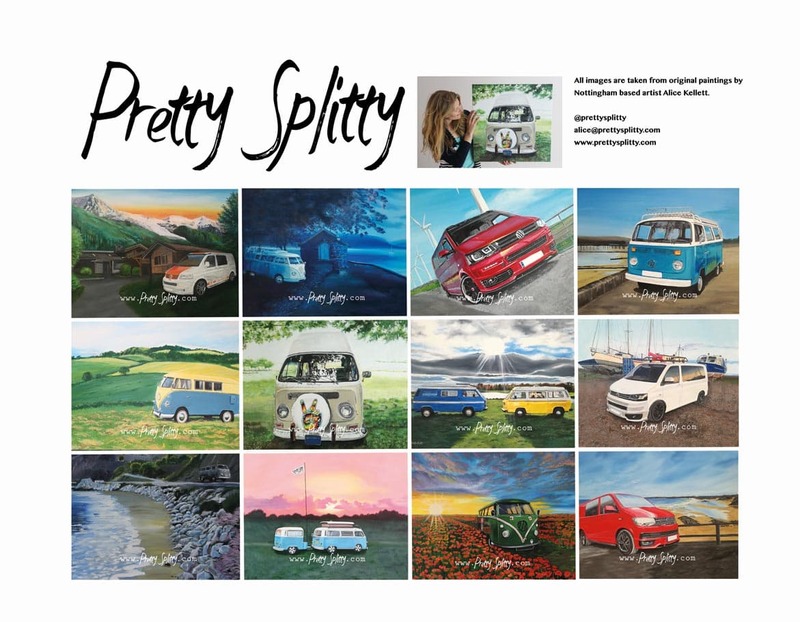 Each month displays a bright and colourful image of a Pretty Splitty painting created by artist Alice Kellett. 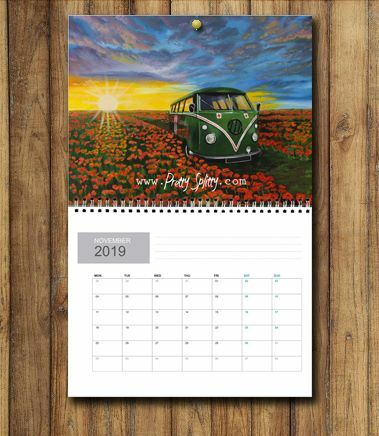 It celebrates the van life and adventures that can be had in the classic and modern transporter. 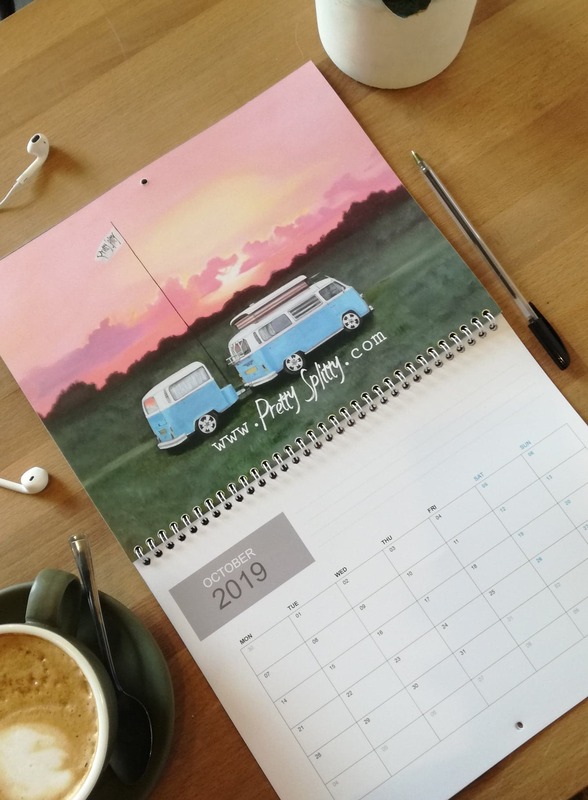 The ring bound wall calendar easily hangs on the wall with a drawing pin and each month displays a Pretty Splitty painting and a planner. 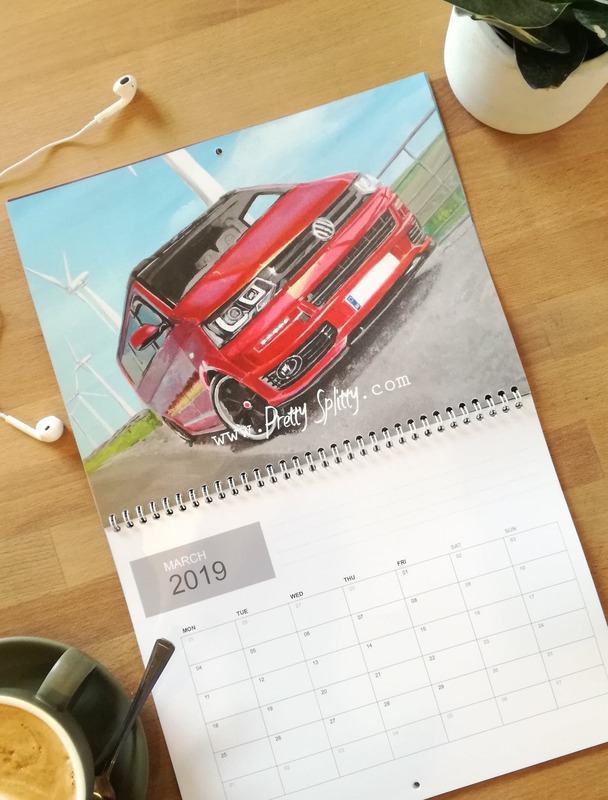 The double page spread measures 28 x 43cm.